Located on Cleeve Common, Cheltenham. Due to a Major increase in rental costs by the land owner. GB3UK was turned off on Sunday 17th March 2019. The repeater comprises a Tait 800 Series Transceiver (like that used at GB3GH), with a G8CUL logic control system which was kindly donated by the Cheltenham DX Cluster support group (it was originally intended for use on one of our other voice repeaters several years ago, but was only used with that one for a short time). The repeater is also accessible using the traditional 1750Hz tone-burst. 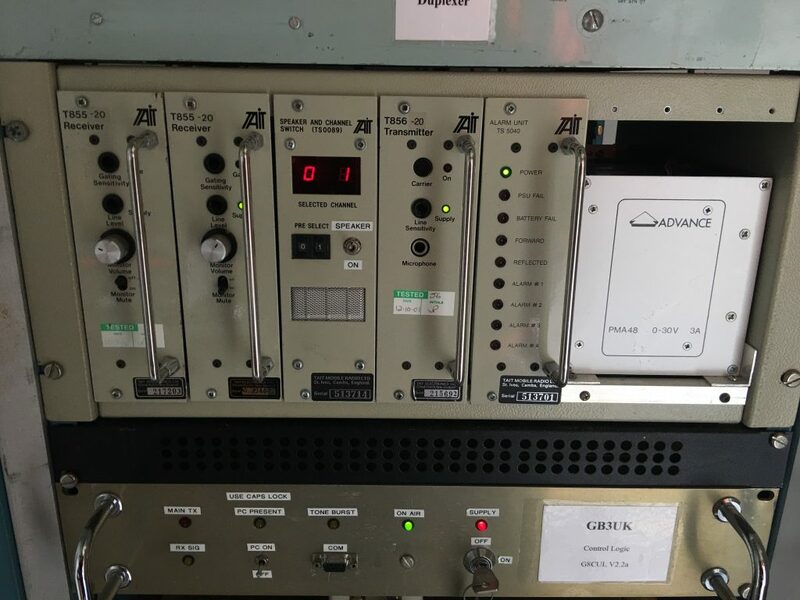 Note: A licence for a 70cm DMR repeater using the callsign GB7CC has recently been issued to another group for a location 5km or so NNE of Cheltenham, we believe that this will be close to GB3UK.